Roman Crete: New Perspectives is a collective work which aims to a fresh look into the topic of Crete’s culture during the Roman era. It is clear from the variety of articles in this volume, that this work is taking a “holistic approach” to the study of Roman Crete, covering an array of historical and archaeological specializations, from pure history to field archaeology, history of art and environmental studies. It is thus the goal of this review to comment on how these articles work together in giving an image of life in Roman Crete, rather than reviewing the quality of scholarship within the individual articles. 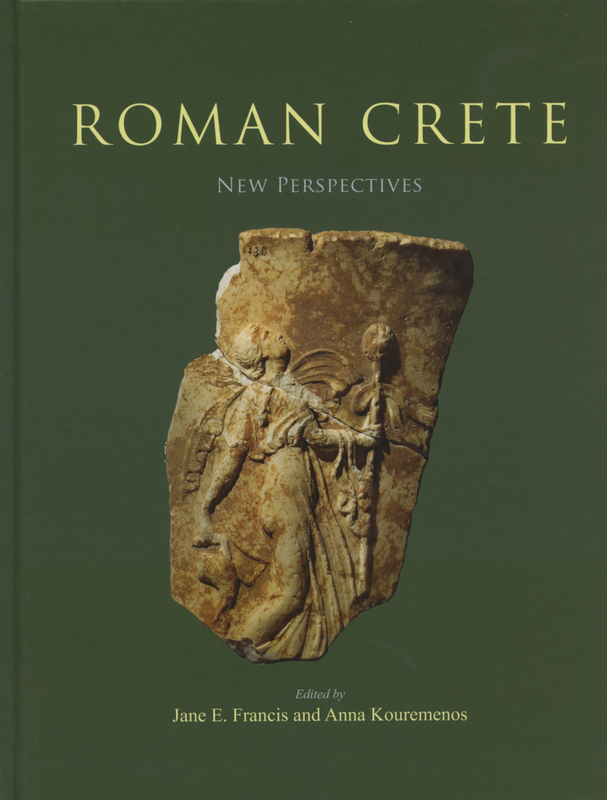 From the beginning, in the volume’s “Foreword”, Hugh Sackett highlights how recent is the interest in Roman Crete. Jane E. Francis explains the reasons in the volume’s “Introduction”. 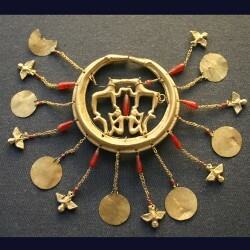 With Crete being unique in the world for its prehistoric culture (the Minoan), and with Roman ruins having little to offer to ethnocentric narratives of later years, archaeologists were systematically neglecting to study in depth the island’s Roman past. As a result, the key study covering the topic as a whole appeared in 1982; it is, of course, “Roman Crete: An archaeological Survey and gazetteer of Late Hellenistic, Roman and early Byzantine Crete”, by the untimely lost Ian Sanders. Clearly, this work is referenced extensively by Francis, in her attempt to link what we already knew to what is yet to be added regarding the material. This introduction contains a glance on the method of work of a Romanist in Crete and presents the vantage point of research, giving way to the rest of the papers. It also triggers the reader’s interest to the topic by some interesting suggestions, including the possible connection between climate change and the rise of Christianity in Crete. In the following chapter, “From Cyrene to Gortyn”, F. Chevrollier addresses the dating and reasons beyond the establishment of the Crete-Cyrenaica Roman Province. Beginning from the key scholarship on the matter, he proceeds by revisiting primary data as well as using results from recently published studies. He then explains the joining of the two seemingly disconnected geographical areas into one province primary as a matter of “functionality over character” for the Romans; he also gives info on how the province was governed, from an administrative as well as financial perspective; a description of trade routes is an important part of the discussion . Crete’s cultural identity issues as developed within the Roman world are discussed in the next paper, “A context from Knossos: Italian Sigillata stamps and cultural identity across Crete”. Here, Martha W. Baldwin Bowsky uses Italian Sigillata stamps to: a. discuss the potters themselves, either Cretans or Italians whose work was exported to Crete b. look at trade routes, linking this text to the one preceding it. Defining that Crete kept representing the Eastern pottery tradition despite the access its inhabitants had to Western imports. In keeping with the discussion on cultural backgrounds, this leads to “The double axe (λάβρυς) in Roman Crete and beyond: the iconography of a multi-faceted symbol”. Here, Anna Kouremenos discusses what is generally seen as the ultimate Cretan symbol: the Double Axe. Discussing the wide and diverse use of the Double Axe across Greece and the Near East throughout Antiquity, Kouremenos achieves in highlighting the complex cultural issues rising during the study of symbols in a multicultural environment. Suggesting the term “emulative acculturation” to explain the phenomenon, Kouremenos ends up clarifying how the double axe as a symbol had changed meanings, ending to be an apotropaic symbol during the Roman Era. In the following chapter, Jennifer Moody looks on “The Roman Climate in the southwest Aegean”. With a discussion of the topic not included in Sanders’ monograph, the presence of such a paper in this volume is a welcomed “new perspective”. Such an article in this collective work is surely a matter of trend (climate change being one of the most important current issues) but also research evolution. What is more important is that Moody attempts to compare his reconstructed climate history with Crete’s settlement history, achieving to find a match, while turning down other similar hypotheses/comparisons, eg. a connection between climate change and conquest events. In Chapter 7 Jane E. Francis discusses “Apiculture in Roman Crete”, or the aspects of the beekeeping culture in Roman Crete. This is a relatively new topic, which focuses on material evidence such as beehive types, with the discussion extending on how honey was used, produced and traded. It is worth mentioning that the piece has been allocated wisely between an article of pure archaeological science (on climate) and an art-based one (on sculpture), with the editors probably highlighting the double nature of apiculture as a topic. Pavlina Karanastasi’ s article on “Roman Imperial Sculpture from Crete” presents the main Roman statue types found in the island, addressing the lack of information regarding the trade of statues, but nevertheless, achieves a basis for reassessing Roman sculpture in Crete. This article is well followed by another art-related one, where Michael Milidakis and Christina Papadaki discuss preliminary remarks on “An Attic marble table support (τραπεζοφόρον) in relief from Roman Kissamos”. Here, after several assumptions regarding the rendering and the date of the artifact, the authors use it as a case study in order to present glimpses on ways the Romans were artistically influenced by the Greeks. Vanna Niniou-Kindeli and Nikos Chatzidakis’ “The Roman theatre at Aptera: a preliminary report” is the first of two consequent articles discussing Roman Crete’s key archaeological sites. Here, beginning with providing first-hand information about the building history of a prominent monument in Western Crete’s most important Roman site (the theatre’s stratigraphy discussed extensively to showcase its history from the Hellenistic up to the Late Antiquity) , the authors end producing a highly informative and well referenced article on Aptera itself, whose settlement history seems to go hand in hand with the changes attested in its theatre! Enzo Lippolis’ “Roman Gortyn: from Greek polis to provincial capital” takes us to Gortyn, which functioned as the capital of Roman Crete. Through a detailed presentation of Gortyn’ s urban landscape evolution as displayed through archaeological finds, as well as literary sources related to the city’s administration, Lippolis’ article consists a key read for anybody unfamiliar with the site, an update for the experts and a necessary set of info in this book. From Chapter 12 onwards, we sense a change of focus to the latest part of the period under investigation in the book. In Chapter 12 itself, entitled “Crete’s economic transformation in the late Roman Empire”, Scott Gallimore re-evaluates data in Cretan amphora exports, updating the inventory with new finds from different parts of Italy, Central Greece, Cyrenaica as well as the Iberian peninsula and the Black Sea. Combining this update with literary evidence on the function of the “annona militaris” (a tax aiming to provide supplies to the military in the provinces), Gallimore finds that the alleged decline in amphora exports from the 3rd. c. AD onwards was faulty; in fact, Crete was exporting amphoras mostly eastwards, in the Black Sea, serving the needs of the Roman Army in wine. The following “Theatres, plays and the 3rd-century crisis” is another economy-related article, focusing on the crisis that stroke the Roman Empire from the 3rd c. AD. Here, George W.M. Harrison uses funding directed in theatre construction as well as theatrical productions in the Roman Empire in general and Crete specifically, to highlight how this economic crisis was manifested in the island as well as the factors behind it. Interestingly, agreeing with what Gallimore and Chatzidakis/ Niniou-Kindeli have stated in their articles for this volume, Harrison finds that the factors that influenced Crete’s economy were slightly different than the ones affecting the Empire in general. He also points that the crisis, at least prior to the earthquake of AD 365, was not as deep as expected, due to the island’s massive and solid infrastructure. With Chapter 14 focusing on evidence from the 4th c. AD onwards, the editors have led us well into the period known as early Byzantium. In “Pottery of the 4th- early 9th centuries AD on Crete”, Anastasia G. Yangaki looks at early Byzantine pottery styles attempting to detect an expression of cultural identity on newly invented types and forms which were hitherto unassessed. Anna Kouremenos’ “Afterword: putting Crete on the Roman map” ends the volume in the best way possible, taking the reader back to the main points of every contribution in this collective work. Most of all, it clarifies what this work has added in the existing scholarship but also highlights what has been left for the future researchers to find out. Overall, the volume has achieved in complementing Sanders’ Roman Crete, “transferring” it to the 21st century with new information and theoretical approaches. The editors have achieved in fulfilling the great task of sensing the need for such an edition, getting a number of important scholars to contribute. Using the articles’ themes as well as chronological area, they also succeed in allocating this large number of thematically diverse papers, so as to create a narrative on Roman Crete’s history while highlighting research problems and scientific methods. And while there are still areas of study not included in this volume (eg. a discussion of the switch to Christianity as witnessed in architecture would be much appreciated), this collective work is now the most important edition on Roman Crete so far, and a great addition to the field of Roman history and archaeology. Kouremenos, A. (forthcoming), Cultural Identity and the Process of Emulative Acculturation, The View from the Domestic Realm in Roman Crete, BSA. Sanders, I. F. Roman Crete: An archaeological Survey and gazetteer of Late Hellenistic, Roman and early Byzantine Crete, Warminster, 1982.